Leading Manufacturer of long cased axial fan, axial fan with casing, cased axial fan, tubeaxial fan and casing axial fan from Chennai. 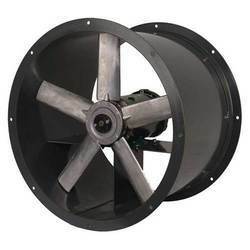 Being one of the reputed names of the industry, we are engaged in offering Long Cased Axial Fan that is ideal for areas where blend of pressure and volume is required. Made available in numerous specifications, the proffered selection of fans is widely asked for its sturdiness, operational fluency and good flow rate. We test the entire range before handing over to the clients. 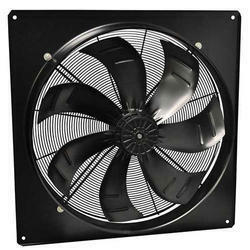 With the aid of advanced tools and equipment, we have been able to manufacture best in class Axial Fan. Offered axial fans are used in various duct and ventilation Systems of industrial establishments. 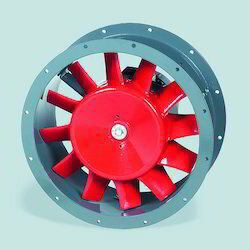 We have been able to offer these axial fans in accordance with the specifications provided by the clients. 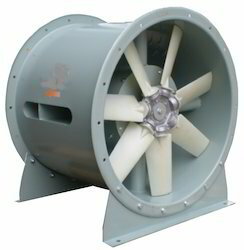 Cased Axial Fan is manufactured and exported by us in different specifications to meet the diverse client needs. Used for industrial ventilation & fumes and air conditioning, the proposed collection of these fans is extremely popular in the market. Casing axial fans offered by us are made from mild steel plates and come with flanges & foot mounting arrangements on both sides. 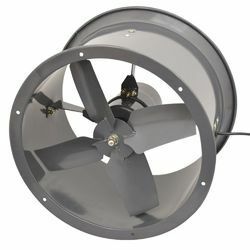 Being one of the prominent names of the market, we are involved in offering Tubeaxial Fan that is easy to install and requires low maintenance. The proffered batch of casings is massively appreciated as it offers high durability, robust construction and corrosion resistance. We provide this range in tamper proof packaging to prevent any kind of damage. Being one of the noted names of the industry, we are engaged in offering Casing Axial Fan that can be availed in different specifications. Appreciated and accepted for their rigid construction, ease of installation, corrosion resistance and longer functional life, these casings are widely asked for. Axial flow casing offered by us is provided in standardized packaging. Looking for Casing Axial Fan ?